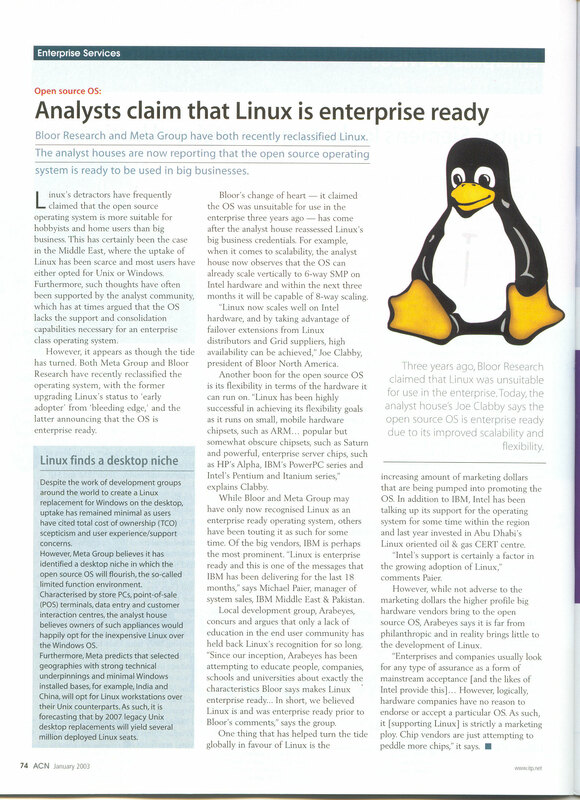 A mini-interview with ArabicOpenCD/CDmafooh's author. 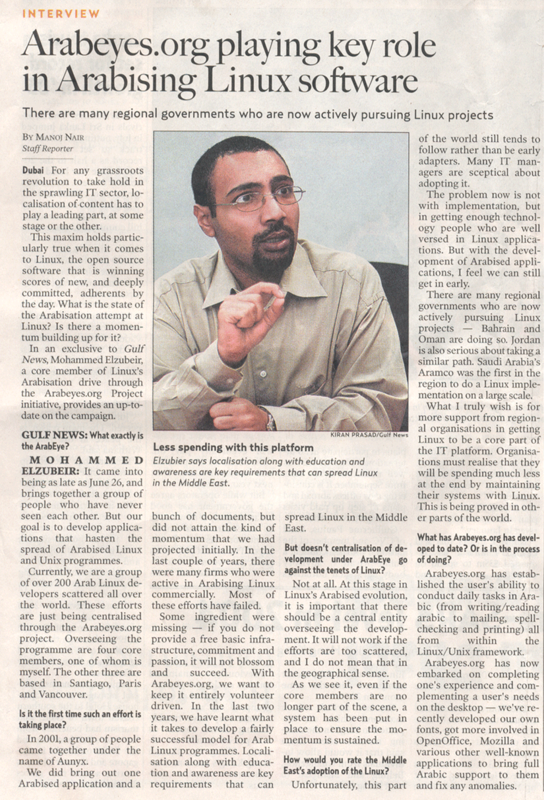 Coverage of Arabeyes' participation [info noted requires correction]. Background coverage on Arabeyes via an interview. 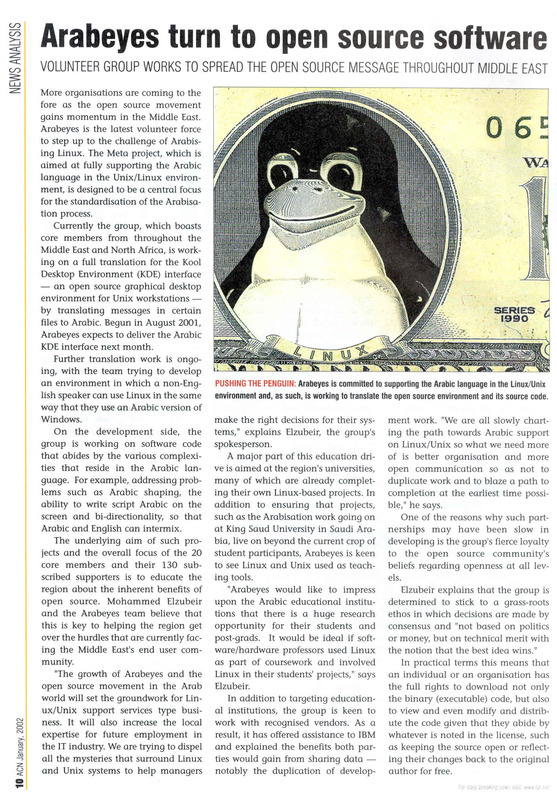 Coverage of Arabeyes' Mozilla Firefox translation effort [in Arabic]. Coverage of Arabeyes' participation in the 'Asia Source' workshop in Bangalore, India. An interview with Arabeyes' OpenOffice.org coordinator. Oct 14, 2004: Happy birthday Open Office! In O'Reilly Linux Dev Center. 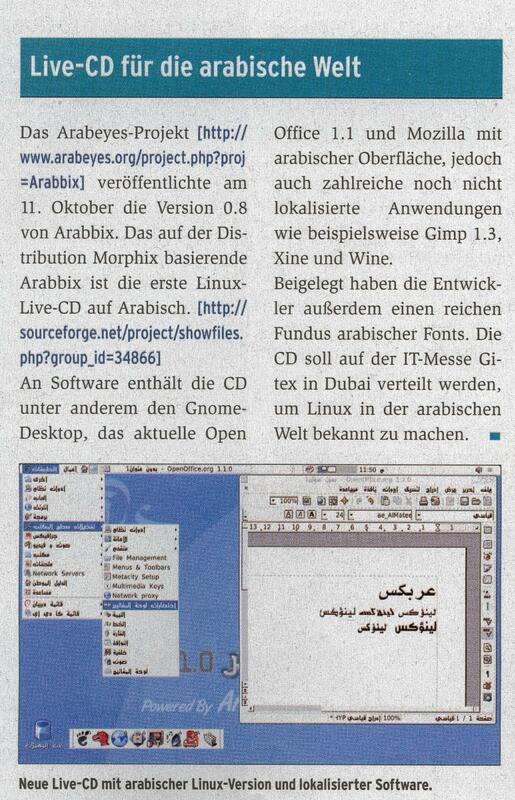 (Live-CD for the Arabic World) Praises the efforts done by the Arabeyes project into releasing a CD (Arabbix) which localizes software and contains a rich collection of fonts: "It is the first Linux Live CD in Arabic" [in German]. In Abu Dhabi TV (Click Program). This page was last modified on 10 February 2017, at 04:19.